Ninotchka comes from the Latin/ Hebrew word for "little girl," and is applied in Russian as "great-granddaughter." 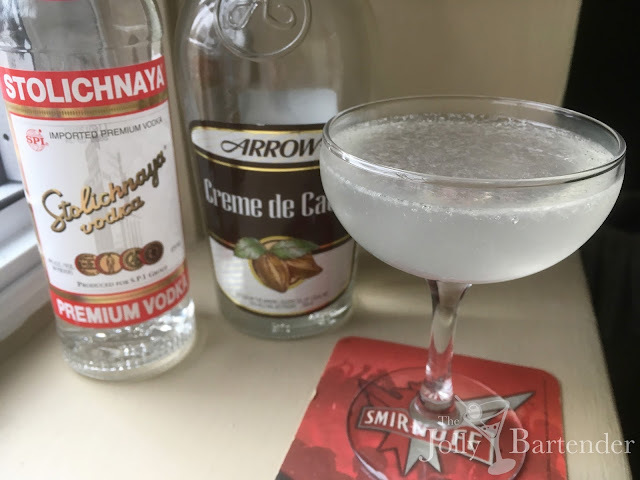 The name itself and the use of vodka puts it in what I'm styling the "Family" category of sweet cocktails like the Godmother and Godchild. It's pretty good for all that, and as a Russian drink, I thought it appropriate to use Stolichnaya vodka.